Sol Duc Campground is located within earshot of the misty Sol Duc River and is set amongst lush ferns and ancient trees. This campground is close to the Sol Duc Hot Springs, Sol Duc Waterfall, and Lake Crescent. A great time to stay here is in early Autumn when coho salmon come to Sol Duc River to spawn. FIRST COME, FIRST SERVED. 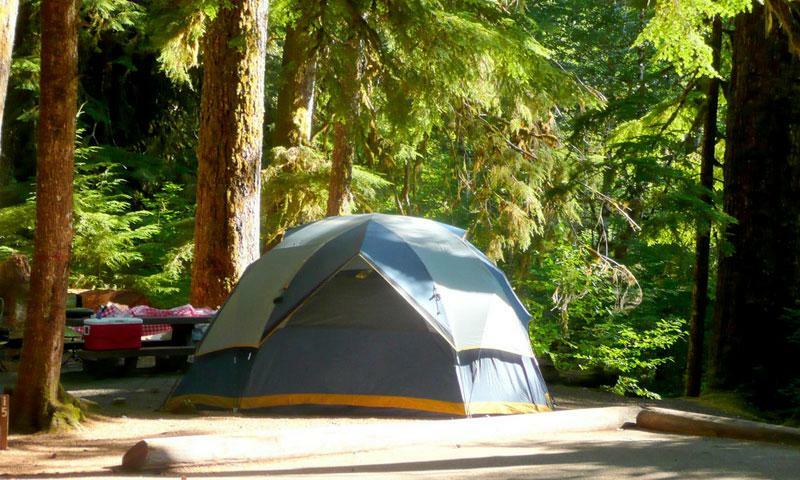 Where is Sol Duc Campground located? Sol Duc Campground is 40 miles west of the town of Port Angeles in Northern Olympic Peninsula. Drive southward on the Sol Duc River Road 12 miles to Sol Duc Campground. How can I reserve a site at Sol Duc Campground? This camp is first come, first serve; there are no reservations for this site. The Sol Duc RV Park offers spaces that can be reserved. Tell me more about Sol Duc Campground. Toilet Facilities: Running water in summer, pit toilets & no water in winter.